Dealing with any kind of IP rules can be very complicated. The law governing IP uses very technical language that is not always accessible to people who are not familiar with legal or scientific terminology. Copyright is one area of IP which can be very confusing, but is equally very important to understand if someone is trying to protect their IP. The point of this article is to introduce what Copyright is, how it works and the avenues that can be pursued where someone is trying to protect their copyright or enforce their copyright in a particular product. See here for more guides on Intellectual Property Laws. What questions does this article answer? What do I need to do to enjoy copyright protection? How do I use copyright? What do I have to do to have copyright? How do I enforce my ownership of copyright? As mentioned earlier, copyright is a kind of legal right. It is a legal right of protection for the product of the skills, processes, time and investment that individuals and business often commit in attempting to innovate and bring new products and services to the market. It is not unusual that where someone looks to enforce their rights, they want to know where these rights are and what they mean. All of the law detailing how copyright works, is contained in the Copyright, Designs and Patents Act (CDPA) 1988. There are other earlier pieces of legislation that concern copyright, but these tend not to be relevant for products and services that are created in the modern commercial environment. It is not unusual that in any area of law, in order to enjoy protection that certain criteria need to be met. The same is true of copyright. It is very important to remember what is being protected when discussing copyright. The thing that is being protected is the result of a creative process. Whatever a person or an individual has created, having invested resources and time to do so, that is what is capable of protection – the result, not the process. All of the criteria that need to be met before anyone can enjoy copyright protection are contained in the CDPA 1988. To enjoy copyright protection, a product must fall within what the CDPA calls its ‘category of works’. This list of things that can be protected covers (i) original literary, dramatic, musical or artistic works; (ii) sound recordings, films or broadcasts; and (iii) the typographical arrangements of published editions. Before discussing the component parts, something needs to be said about originality, which is a very important point in copyright. There have been different ways of testing for originality, but the law will only allow a thing to be protected where a business or individual creates something on their own. If a business or individual copies the ideas of someone else to make a product, it is not original and will not be protected by copyright. ‘Artistic works’ is defined very specifically in section 4 of the CDPA. Something will only be an ‘artistic work’ if it is either (i) a graphic work, photograph, sculpture or collage, irrespective of artistic quality; (ii) a work of architecture being a building or a model for a building; or (iii) a work of artistic craftsmanship. Lots of things can be deemed as ‘artistic works’ including technical drawings of an architect or engineer; photographs; and even greeting cards. As above, it is wise to appreciate exactly what these terms mean in law, before attempting to find out whether or not a product falls within this category. ‘Broadcasts’ in law relates to the transmission of images, sounds or other kinds of information for other people i.e. the public at a time determined by the person making the transmission. As expected, this means that television broadcasts will fall within this category. This category can appear very confusing, but it relates to some of the previous categories of things that can be protected by copyright. Specifically, it covers any of the literary, dramatic or artistic works that would have already been protected by copyright, but have then been published. Having understood what copyright is for and whether or not something will be covered by copyright protection; the next task is to find out how to use copyright. For typographical arrangements, it is the publisher of a typographical arrangement that own the copyright. The points mentioned above cover the straightforward situations. However there are times when working in the commercial environment can make finding out who is the owner of copyright in a product more difficult to find out. Organisations that operate as partnerships are very common in the modern business world, and this has consequences when it comes to dealing with creative works, or the fruits borne from an investment in time, energy and money. If something is made by a Partner in a Partnership, that falls within the categories mentioned above as being protected by copyright, then the Partner as the author or creator of the thing owns copyright. However if a Partner creates something that is capable of being protected by copyright as part of his duties as a Partner, which is to be used for the purposes of the partnership then it is the Partnership that owns the copyright. It is normally the case that the Partnership Agreement would detail exactly who owns copyright in a thing, and the circumstances when ownership arises. Organisations are constantly involved in the generation of new products and services, so to remain competitive within their industry. They often use the skills and expertise of their employees e.g. scientists, inventors etc. to do so. This can make things rather complex, in deciding who has ownership in a new product. Much will depend on whether or not someone works for an organisation under a ‘contract for services’ or a ‘contract of service’. Where an individual is an employee of an organisation, under a ‘contract of service’ and makes something in the course of his or her employment, it is the employer and not the employee who owns the copyright. However where someone is an employee but makes something outside their employment, it is arguable whether an employer will own copyright. Where something is created, but is not related to their work as an employee, it is arguable that they will hold copyright and not their employer. Employers will as a matter of good practice, normally stipulate that anything made by employees that is related to their employment will be owned by them. Where an individual is employed under a ‘contract for services’, it may be arguable that he or she holds copyright. The terms of ownership of copyright should always be made very clear under both a contract of service and contract for services to avoid confusion. Two minds are generally deemed to be better than one, and it is not uncommon in business for two individuals or entities to come together and combine their time and finance to create a new product. However this has implications as to who holds copyright in the finished product. Where there are two equally distinct contributions to a new product that is capable of protection under the copyright legislation, then the law will deem there to be two kinds of works that are protected. As a result, both authors will as individuals hold the same rights that they would have held to copyright if they were the sole author. If the two contributions are not distinct, then in law, authorship of the product and ownership of copyright in it will be held jointly. For these kinds of works, copyright protection will last for 70 years from the end of the year when the author or creator of the work dies. When dealing with works of joint authorship, the legislation makes very clear that copyright protection will expire 70 years from the year when the last known author or creator dies. Generally speaking sound recordings will enjoy copyright protection for 50 years from the end of the year when the recording was made. There are different limits that apply if a recording is published within that 50 year period; if the recording is published, then copyright protection will last for 70 years from the end of the year when it is published. Alternatively if during the 50 year period a recording isn’t published but is communicated to the public, then copyright protection will last for 70 years from the end of the year that this happens. Broadcasts will enjoy copyright protection for 50 years from the end of the year that the broadcast was originally made. Typographical arrangements will have the protection of copyright for 25 years from the end of the year that they were first published. Understanding what copyright is and what it was created to protect is important when it comes to enforcing ownership of copyright. 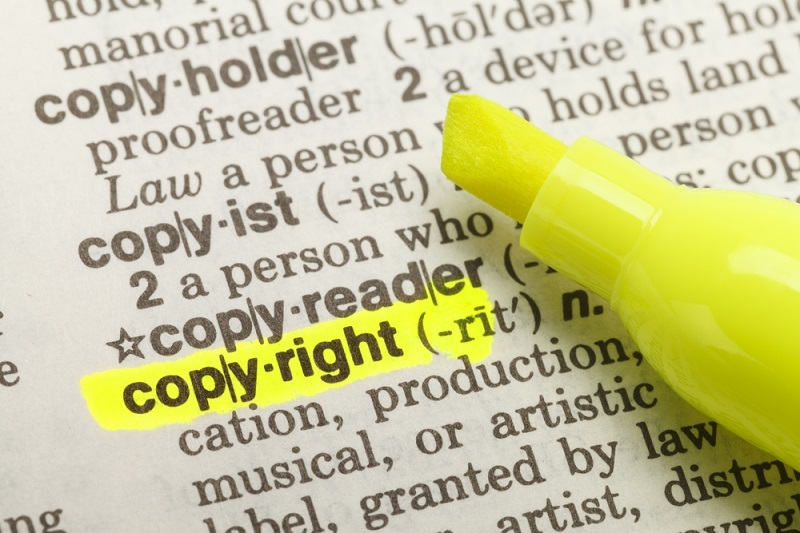 An owner’s ownership of copyright, their right not to have their work copied by others can be infringed in two ways – by primary or secondary means. ‘Primary infringement’ covers instances of copyrighted work being copied or communicated to the public in some way, or even changing a copyrighted work without the permission or a licence from the copyright owner. An individual will be blameworthy for copyright infringement as a matter of this happening – regardless of their knowledge or intention. ‘Secondary infringement’ relates to the copying of a copyrighted piece of work, and then bringing that copy into the UK for something other than private use; or in general terms, allowing public performance of a copyrighted work that has already infringed copyright - because it is a copy taken without the owner’s permission. Generally speaking, an individual would only be guilty of copyright infringement if it could be proven that they knew that what they were doing was violate someone’s copyright. It should be noted that there are exceptions to the rule that an owner’s right of copyright cannot be infringed. The advice of a solicitor with experience in dealing with IP protection should be sought, who will be able to advice on whether or not any exceptions are applicable to a given situation and how to go about enforcing copyright in the courts. Copyright is a legal right of protection for the product of the skills, processes, time and investment that individuals and business often commit in attempting to innovate and bring new products and services to the market. It is generally accepted that the creator of a product, or the author of a particular kind of work, will own the copyright. There is no procedure that needs to be followed or forms that have to be filed with any authority to have copyright in something. In order to enforce a copyright in the courts, the advice of a solicitor should be sought.